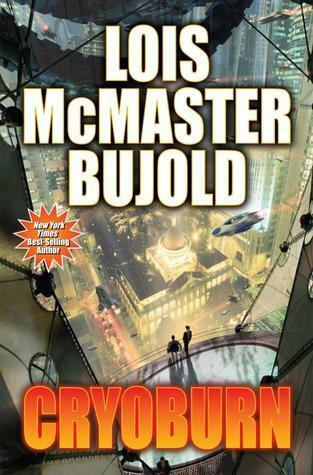 This entry was posted in Adventure, Mystery, Science Fiction and tagged cryoburn, lois mcmaster bujold, vorkosigan saga. Hmm, as someone who petered out on Miles Vorkosigan around book 4 or 5 (due to the pressure of so many books to go—a problem I have with all long series—not lack of awesomeness), maybe I’ll pop back in for this one, and have you explain the full impact of the epilogue to me afterwards (is it a little like the end of Fair Game, with an event that will change the world in future books?). I had no idea Bujold has written over three decades of Miles’ life, and that is just very impressive! You really should and then let me know if I’m right and it works best as a stand-alone. Not a stand alone. Some of her books with Miles could be stand alone this is not one of them. Hey Dana, what makes you think Cryoburn couldn’t stand alone? Having read all the books, I might have just not noticed knowledge I was taking for granted. Which books in the series do you think could stand alone? I think Warrior’s Apprentice, Cetaganda and maybe Borders of Infinity, but none of the others. On the other hand, I’ve certainly run across other reviews that suggest different ones.